The sound of the chain moving through the D-rings makes an audible sound; this sound combined with a pre adjustaed limited cinching correction is an excellent way to communicate corrections in the most effective and humane means. Because of the limited cinch correction, this collar is also great for dogs that have a tendency to slip their collars. The sound of the chain moving through the D-rings makes an audible sound; this sound combined with a pre adjustaed limited cinching correction is an excellent way to communicate corrections in the most effective and humane means. 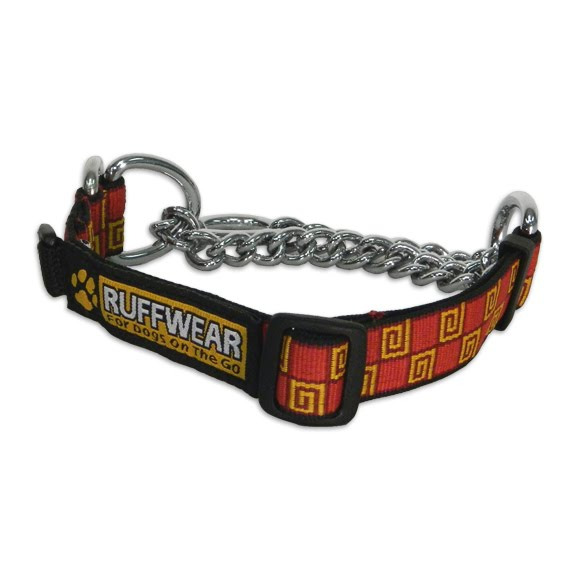 Because of the limited cinch correction, this collar is also great for dogs that have a tendency to slip their collars. As the dog pulls the collar&apos;s circumference is reduced so it will not slip over the head.